It may give Z06 owners an existential crisis. The Geneva Motor Show plays host to all the latest and greatest entries from the top European marques. Not to be outdone, Chevy has taken the sheets off the all new Corvette Grand Sport featuring the mighty LT1 6.2-liter pushrod V8 churning out 460 horses. It may be trounced in terms of raw power by some other European cars debuting at the show, but it's still nothing to scoff at. Particularly when you learn it can pull 1.2 Gs. 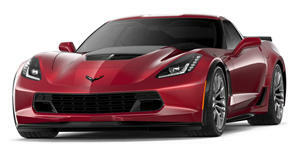 The Grand Sport is the perfect middle ground between the insane Z06 and standard C7 Stingray. 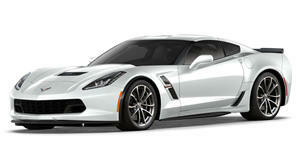 GM claims the all new Grand Sport is as fast around the Milford Proving Ground test circuit as the C6 ZR1. Considering the near 150 horsepower deficit the Grand Sport has that is something special. The lightweight Grand Sport is fitted with Michelin Pilot Super Sport tires. With 285 mm up front and 335 mm in the rear its melded to the tarmac. A full revamp of the stabilizer bar, springs, and dampers come along with a set of massive Brembo brakes. On offer is a seven-speed manual and an eight-speed automatic. 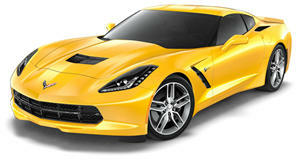 If that isn't enough, opt for the Z07 package which brings carbon ceramic brakes and Pilot Sport 2 Cup Tires. The Grand Sport will be available in both coupe and convertible configurations. The Grand Sport brought to Geneva is actually a special edition. 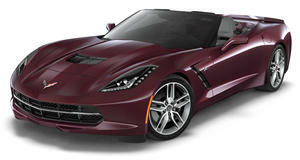 The Grand Sport Collector Edition sports Watkins Glen Gray Metallic paint with Tension Blue accents. That color scheme carries over into the interior, which is covered in leather and suede. If you look carefully/at all you'll see an embossed image of the original Grand Sport racer on the headrest. We're normally not fan of special paint packs but damn it all if this color combo isn't incredible. Who would have thought? Expect to see the new Corvette Grand Sport on showroom floors this summer.